Welcome to the Watch Crypto Beginners Guide! Today we're going to be talking about important blockchain and crypto terms that you should know. Understanding these crypto terms is very important if you plan on learning about and perhaps participating in this exciting new industry. Over the course of these sessions we dive into interesting, educational and controversial topics. We'll do our best to keep things simple and easy to understand. Please note: These will be relatively simple explanations to help you better understand crypto terminology for future episodes and understanding. We will go into more detail about the underlying principles, pros and cons, use cases and so forth in our videos that follow. This video is for basic crypto terminology to help get things started. The first crypto term you should know is 'Decentralization'. 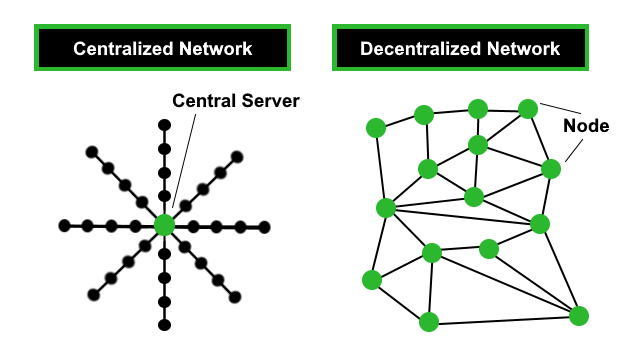 Decentralization is the transfer of power away from a central location, organization or administrator. No one single entity has control. Decisions and in the case of blockchains the processing of transactions are not all done in one place. A Blockchain is a decentralized network, a type of 'distributed ledger' (database) comprised of unchangeable, digitally recorded data in blocks. Each block is chained to the next block using a cryptographic signature. The following image is an example of the process of how a transaction occurs. Step 1. Details recorded + digital signature from each party. Step 2. Nodes in the network verify details of transaction. Step 3. The verified details are recorded and added to a block (a unique hash is created for this block, and this block also includes the hash of the previous block. Step 4. The new block is added to the chain of blocks - The 'blockchain' just got a block bigger. Blockchains are politically decentralized systems in that no one controls them. They are architecturally decentralized in that there is no infrastructural central point of failure. Blockchains are however, logically centralized as there is one agreed upon state and the system operates like a single computer. You can think of a blockchain as a database that exists on lots of different computers around the world acting as one through a form of consensus. Bitcoin is a blockchain. It is the first decentralized digital cryptocurrency, as the system works without a central bank or single administrator. No one knows who created Bitcoin as it was released anonymously under the suedo name 'Satoshi Nakomoto'. Cryptocurrencies are digital assets (coins and tokens) that are encrypted. Transferred person to person ‘P2P’ with no mediator such as a government or bank. Cryptocurrencies can be programmed to follow sets of rules and can be used for many different purposes. Bitcoin for example follows a set of rules that mimics the mining of a precious metal such as gold. Ethereum is another blockchain which enables the functionality of smart contracts. A smart contract is a set of rules that prompts a result or series of results. Take a vending machine for example that has a bunch of candy products in it. If I choose the option for a $1 bag of chips, the machine will then give me a bag of chips once I provide it with my $1. Smart contracts operate in a similar way - but they operate on a decentralized grid - a blockchain. Smart contracts have paved the way for 'tokens/dapps' which you will see in the example below. A digital coin is an asset that is native to its own blockchain. For example the blockchain Bitcoin has its own coin called ‘Bitcoin’. The Ethereum blockchain also has its own coin called ‘Ether’. Ethereum is a blockchain that allows for ‘smart contracts’ to be implemented. Through smart contracts you can program a set of rules which outline the functions of a ‘token’. Tokens are thus built on a specific blockchain and get paired to the native ‘coin’ of that blockchain. Both ‘coins and tokens’ only exist in digital form. When one person sends ‘coins or tokens’ to another person’s public address, the database will adjust and the new ‘address’ is given control/ownership of the ‘coins or tokens’. Public addresses are used to send and receive transactions. Depending on the blockchain being used, the public address usually also shows a record of all the transactions in and out of that public address. A public address is a long string of numbers and letters. Each specific coin and token have their own ‘addresses’ so you cannot send Bitcoin to an Ethereum address or vise versa. Doing so may result in a loss of those digital assets. Crypto addresses can be in the form of a QR code, and recent advancements are making it possible to pair a address to a top level domain (for example .LUXE). These are all keys to unlock your digital wallet. These are very important and if you lose them or if someone else knows them or has them they can access your digital wallet and send your digital assets to a new ‘public address’. You should have these backed up in a very secure place. Ironically some people store these on a USB drive and place it in a security deposit box at a bank. A digital wallet holds the balance of your coins and tokens. When someone sends coins or tokens to your public address they will appear in your digital wallet. Your private key, JSON file, or seed phrase allows you to unlock and transfer your digital assets out of your digital wallet that holds them. Initial coin offering. Like an IPO (initial public offering) where companies go public and make it possible for people to buy shares in the company. An ICO (initial coin offering) is where a company creates a token or currency and raises funding for their project or cause by selling that token to early investors. STO's (security token offerings) and TGE's (token generation events) are similar but have varying levels of regulations. There is a test called the 'Howey Test' which if a coin or token passes this test it will be classified as a security token. Security tokens are subject to federal securities and regulations. If the coin or token does not meet the full list of criteria below it will be a utility token.Utility tokens give users the right to use the network they are part of and special rights within the network such as voting. The criteria for a security is that 1. It is an investment of money 2. The investment is in a common enterprise 3. There is an expectation of profit from the work of the promoters or the third party. A Dapp is a decentralized application which has its back end running on a decentralized server. Unlike regular Apps which run on centralized servers. 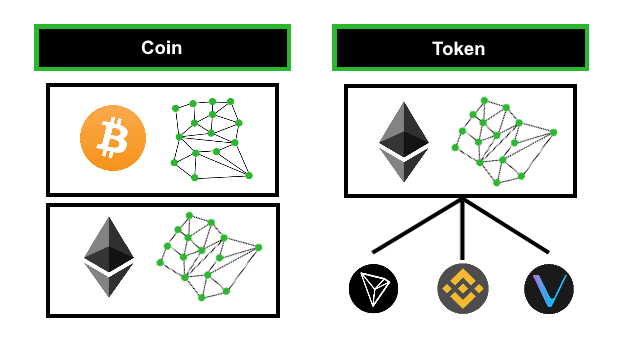 The image in the example above for 'coins vs tokens' can also resemble dapps being built on the Ethereum blockchain. The process by which transactions are verified and added to a blockchains records. In order to verify transactions it takes computing power. The Miners who verify transactions are often rewarded by the release of cryptocurrencies (this is called block rewards). To verify a transaction the miners compete to solve a complex mathematical puzzle. Miners need to guess a 'certain number' that works with the data in the block and in conjunction with the 'hash' allocated to that block. The reward given to a miner who has successfully hashed/confirmed a transaction block. Depending on the cryptocurrency being 'hashed' the reward can be mix of transaction fees or coins/tokens that are being released into the circulating supply. Circulating supply as the name suggests are the amount of coins/tokens that are in existence at any given time. This number will grow according to a predetermined algorithm until the max supply has been reached. Max supply is the total number of coins/tokens that exist if they have already been released/mined or that will exist eventually. Fear of missing out. Of course, this term has been around a while and applies to our social lives, as well. In the context of cryptocurrency, however, it more specifically has to do with being fearful of missing out on some huge gains from a particular coin increasing rapidly in value. 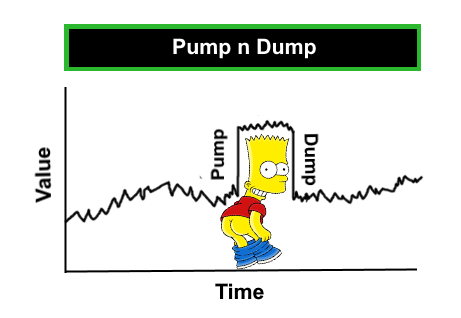 Be careful this is not just a 'Pump n Dump'. A private group of people who organize and announce a certain cryptocurrency to target. Their goal is to drive up the price by telling their group when to buy and sell. This creates a FOMO effect where the group who get in early and sell at the right time make profits at the expense of other investors who thought big news may have come out. Once the clouds clear the price usually returns back to where it was before the pump and dump. A Bull market is when there is positive sentiment in a particular market where prices are rising and there is considerable growth expected. When fighting an attacker A bull thrusts its horns up into the air when it attacks compared to a bear that attacks by swiping downwards. A bear market is the opposite of a bull market where you have a generally negative outlook with prices dropping and people selling their cryptocurrency by cashing out. The 3 months leading up to December 2017 can be described as an epic bull market followed by the first half of 2018 which is a prime example of a bear market. A blockchain 'fork' is when a blockchain diverges into two potential paths forward. There is a change in its protocol. Common reasons for a fork are to upgrade the features of a blockchain, to patch newly discovered bugs, or to reverse the effects of hacks. There are 'hard forks' and 'soft forks'. A hard fork is when each node must update there software to become compatible with the new protocols where as a 'soft fork' is where the new blocks created are still recognized as valid by the old software. Fear Uncertainty and Doubt, it is hard to tell what is FUD and what isn’t as many people will use this to defend the coins/tokens they hold when they do not like the news that is being said about it. Hold on for dear life - A spinoff of the term ‘Hold’. It means hold instead of sell. Often in the crypto space you will hear people saying “when moon?” “when lambo?” hoping that the coin or token that they hold will sky rocket in valuation so they can get rich. Pretty much anything other than Bitcoin has been dubbed an ‘Altcoin’. But for all intensive purposes an altcoin and Bitcoin are similar in such that they are cryptocurrencies. A whale is a major player moving funds around. A major investor can make the market move up or down depending on how they are positioning there funds. Shilling is a crypto term used to describe a type of covert advertising. In crypto people use it to promote certain coins and tokens in the hopes to influence the valuation. So don't believe everything you hear. Usually a crypto scam is in the form of an ICO which is made to look like a legit company. It is in fact a fake company in which people send their cryptocurrency to expecting to receive a token of value. The people behind crypto scams will simply pocket the money and disappear. It is important to do your own research. Market cap is the number of coins/tokens in circulation times the current price of each respectively. You can use this to find out the market cap for a single or group of coins/tokens or for the entire cryptocurrency space as a whole. Trading volume is the amount of a cryptocurrency that has been traded in the last 'x' amount of time (usually 24 hours). It is considered to be a important metric for crypto traders as it can help determine the direction and movements of a cryptocurrency. Fiat money is a currency that a government has declared to be legal tender, but it is not backed by a physical commodity such as gold. 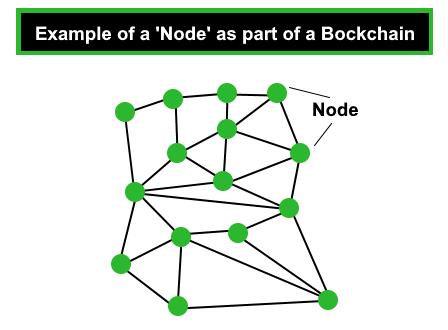 A node is any computer that connects to a blockchain network. A masternode is a full node or computer that keeps a full copy of a blockchain in real-time. Masternodes have special functions that normal nodes may not be able to conduct. Such as participating in governance and voting decisions of the blockchain/protocol. Short form for ‘Application Specific Integrated Circuit’. Often compared to GPUs, ASICs are specially made computer chips for mining and may offer significant power savings and yield compared to a standard personal computer. A program that is built to make investment decisions based on the movements of the market. Trading bots can act very fast and make trades on behalf of a person or group of people. A Cryptocurrency ETF is a exchange traded fund where you can invest in a diversified portfolio of cryptocurrencies opposed to investing in individual coins/tokens. The US Securities and Exchange Commission (SEC) is an independent agency of the US federal government. The purpose of the SEC is to ensure that full and accurate disclosure is made by companies offering stocks, bonds, mutual funds, and cryptocurrencies to the public. Gas is a crypto term used to determine the cost of performing an action and to confirm a transaction on a blockchain. It is a transaction cost/fee for the computing power to 'mine' the transaction. Gas is used to help secure the integrity of a blockchain and reward the miners through block rewards. Institutional money are major investment entities such as banks, hedge funds, insurance companies, pensions, investment companies, and mutual funds. It is believed that once institutional money starts to flow into cryptocurrencies the crypto markets will see bullish growth. Double spending is when there is a risk that digital money can be used more then once. This was a major issue before the time of Bitcoin and one of the greatest achievements that blockchain technology has overcome. Blockchains help to prevent double spending through consensus and confirmed transactions. POW or Proof of work is a way that blockchains remain protected from various types of attacks. POW usually requires computing power by the service requester to solve an intensive puzzle of sorts. POW makes it much less feasible and ideally not worth it to attack or spam a blockchain and to use it as it is intended. Instead of computational power being used as is the case in POW by miners. In a POS system, the creator of the new blocks is determined at random, within the parameters of variables such as how much of that cryptocurrency a user is holding, and in some cases for how long they have held that cryptocurrency. POS uses far less energy then POW making it more cost effective and relieves pressure from the network to release new tokens as a reward. A bubble is when the price of an asset or group of assets grows rapidly and is followed by a quick decline. Usually as a result of FOMO or speculation and no more investors are interested in buying at the higher prices. A large sell off occurs causing the bubble to pop. This is not just a crypto term, but a general term used in the investing world. A distributed ledger is something that you should now be familiar with after getting to know the rest of the crypto terms in this list. A blockchain is a type of distributed ledger which is decentralized with no central administrator or central data storage location. That wraps up our list of need to know blockchain and crypto terms for now - we will update this list when we feel the need to expand on basic crypto terminology. We hope this information helps you in your journey into blockchain and cryptocurrencies. Please share if you found this information useful and consider subscribing to receive updates when we release more articles and videos such as this one.